CHARLOTTE (November 15, 2016) – CARSTAR Auto Body Repair Experts is now making it even easier for drivers to get back on the road in an expertly repaired vehicle – thanks to a new a financing option for their auto repairs through its CarCareONE Program. Available at participating locations in the U.S. through Synchrony Financial, the CARSTAR CarCareONE Program offers customers a payment alternative. In a recent survey by Bankrate.com, almost two out of three Americans do not have enough savings to pay for a $500 car repair. Many times, customers are surprised with a bill for their collision repair for uncovered expenses, depending on the type of policy they have, or don’t have the cash to cover their deductible. 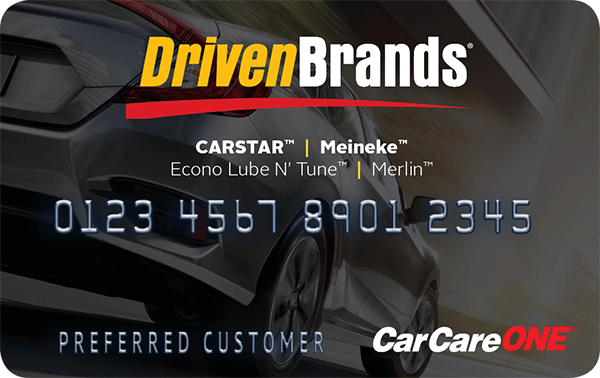 With the CARSTAR credit card, customers can rest easy knowing they can get the highest-quality repairs and pay for it on their own terms. For more information visit a CARSTAR Credit Card or find a local CARSTAR location.